Lives in Finchampstead, previously Wokingham Without. Ex military and civil service specialising in security and consultancy across Europe. Has a BSc(Hons) in geology, an MBA and an MSc. Has been a professional member of the Institute of Information Systems Security Professionals (IISSP) and a member of the Royal Institute of Navigation. His Partner Jane is a tax accountant. Their daughter attends school locally. 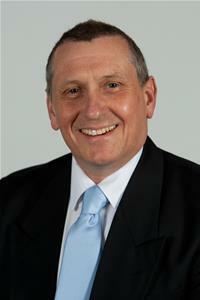 Has been a parish Councillor (Finchampstead) since 2010 and remains such. Researching for a series of military history books. Also research for genealogy with a line currently established back to 1234 in Dover area. Has been a governor of a primary school. Campaigns for a secondary school with sixth form to the south of Wokingham.